Kraft Cheddar Cheese box - 2..
Delmage Mackerel Tin Fish -.. Grocery shopping is always a hassle where you must write a list and make time to go to the supermarket, only to find that one shop doesn't have half of what you require. Ultimately you buy stuff that you don't really need and you wind up standing in the queue that you think will move the fastest, but to your utter dismay does not. Surely, in this day and age, these dilemmas should be a thing of the past; well they well and truly are and there is no compromise in standards or quality. Kapruka's well networked partnerships and delivery system ensure that the finest and best are brought to your doorstep in the fastest possible way, making online grocery shopping a breeze. It could be the little baby's formula or essential vitamins, it could be items for your personal hygiene or tinned food or even a simple packet of jelly crystals that you require; whatever the necessity, do not hesitate to enter the online grocery store facilitated by the Kapruka e-commerce site and add as many items to your shopping cart as you desire. 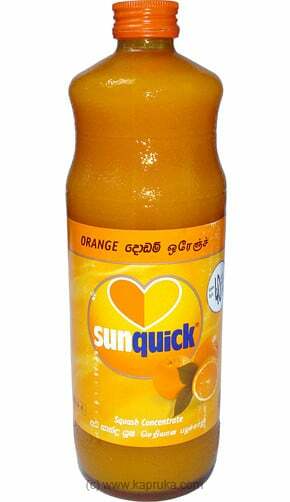 This online grocery Sri Lanka is a convenient solution for those who are abroad to help their friends and family replenish their food stocks and household supplies, especially during festive seasons as much as it is a one stop shop for those in Sri Lanka to have their grocery headaches looked after with a few clicks. You could consider placing the order for all your essential items late in the night or in the wee hours of the morning, when you remember what you need and are wide awake but inconveniently all the stores are closed except Kapruka's online store. Often shoppers tend to think that the grocery items are limited to dry rations, a handful of condiments and maybe some canned items; browse through the web page once and you would discover that fresh produce including dairy products and even fish can be purchased. Fish is usually delivered to only areas in and around Colombo, but online grocery delivery to other parts of Sri Lanka is very much on the cards for items that are not so easily perishable. Gone are the days where people used to shop online for only a few specific items, instead, Kapruka has brought to everyone's screen a host of goods and a complete online shopping experience where the online price is often more reasonable than a conventional store.